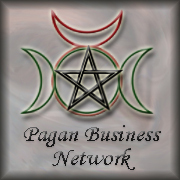 This page contains links to various Pagan webforoums and networking locations. This is a forum that I run. There are places for discussions on basically any topic you can think of when it comes to magic, the occult, and pagan spirituality. Its new and growing but still a worthwhile tool. This forum and website is very useful for many different paths. The site is also home to a free witchcraft school and education for those who would like to learn there. I am a member there under the name of Loona Wynd. This forum covers basically everything in pagan spirituality. There is something for everyone there. There are a few forums just for those who are new and beginners to Paganism.